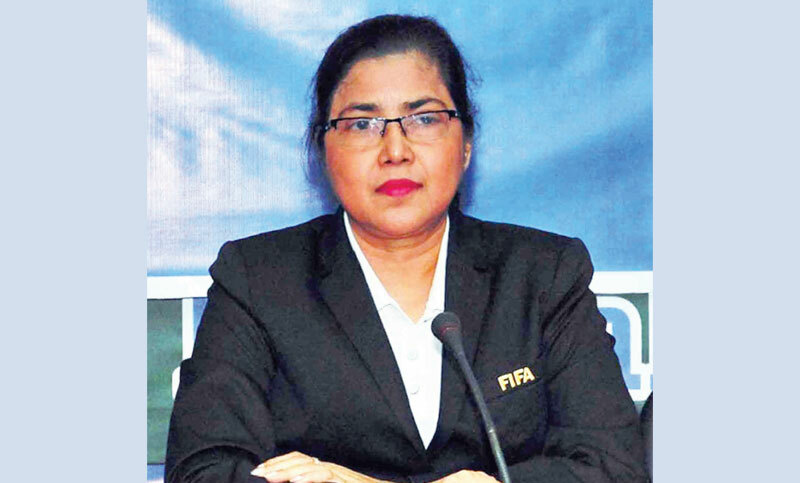 A Dhaka court on Tuesday granted bail to Bangladesh Football Federation (BFF) Women’s Wing Chairperson Mahfuza Akter Kiron in a case filed for making derogatory remarks about PM. Dhaka Metropolitan Magistrate Sarafuzzaman Ansari passed the order on a bond of Tk 10,000, responding to her bail petition. Kiron was arrested from Dhanmondi around 11:00am following an arrest warrant issued by Chief Metropolitan Magistrate Court (CMM) against her on March 16 and she was sent to jail same day. Metropolitan Magistrate Abu Sufian Md Noman sent Kiron to jail rejecting her bail petition after the law enforcers produced her before the court. Earlier on Tuesday, Abul Hasan Chowdhury Prince, a standing committee member of Mohammedan Sporting Club and Sheikh Jamal Dhanmondi Club filed the case with the CMM Court against Kiron for making derogatory remarks against the Prime Minister Sheikh Hasina.